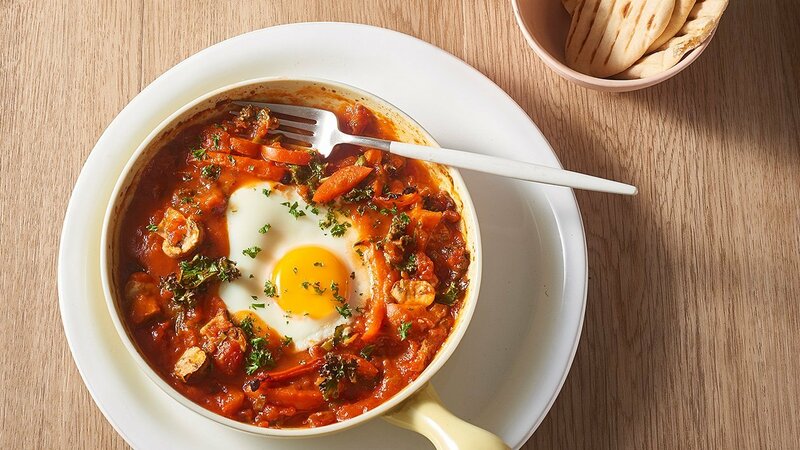 A breakfast bake to give your residence a new way to eat their eggs, with tomato, mushroom kale for added goodness and flavour. Sauté mushroom, capsicum, shallots and kale. Add in the KNORR Professional Garlic Puree, KNORR Professional Paprika Puree and stir through. Stir in the KNORR Gluten Free Pronto Napoli. Remove from the heat and divide the mix into desired dishes. Crack one egg in each of the dishes. Bake on 180 degree Celsius for 15/20 minutes.